WASHINGTON, D.C. – After winning the Stanley Cup last season, one of the big questions that came about was whether or not the Washington Capitals would make the trip to meet with President Donald Trump at the White House to celebrate the victory. The date has finally come, as the White House will privately host the reigning Stanley Cup champions Monday. Despite the controversy in the media, the decision wasn’t one of great magnitude for some players. However, for others, the choice was simple. Devante Smith-Pelly said even before the Capitals won that he wouldn’t go to the White House if Trump invited the team to celebrate the victory. After the official announcement about the invitation Tuesday, Brett Connolly also said he wouldn’t be attending. Star goalie Braden Holtby followed suit Friday, announcing that he respectfully declined Trump’s invitation, citing his values and beliefs. The Canadian goaltender was vocal about his choice, which, like his teammates’ decisions, carries heavy weight. 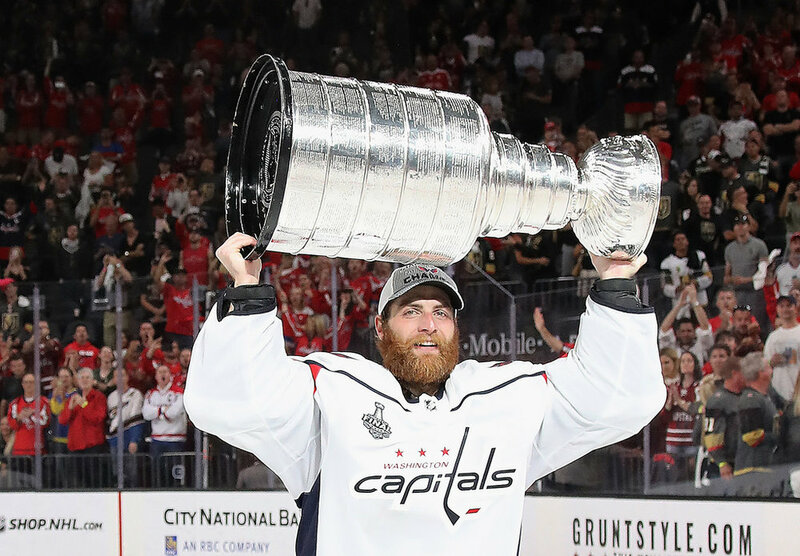 Holtby played one of, if not, the most integral parts in the Capitals’ Stanley Cup run. The 28-year-old registered a 2.16 GAA and .922 save percentage throughout the 2018 postseason after coming in relief of playoff starter Philipp Grubauer. His historic save on Alex Tuch in Game 2 of the Stanley Cup Final changed the course of the series and would lead to the Capitals’ first title. Off the ice, Holtby is also an advocate for the LBGTQ community and has never shied away from vocalizing his views, whether they’re political or not. In turn, Holtby said it was important to do the right thing when it comes to reflecting on how Trump’s perspective aligns with his. Holtby and Connolly are so far the only current roster players who will not be attending the ceremony. Alex Ovechkin, John Carlson, Nicklas Backstrom and T.J. Oshie are some of the players going. Nic Dowd, Carl Hagelin, Dmitrij Jaskin and Nick Jensen, who weren’t with Washington last year, will not be attending. Though he understands the impact his decision will have, he said he plans to do more to make a difference beyond turning down an offer to visit the White House. The Capitals aren’t the only team that has been subject to political controversy. Since Trump took office, the Philadelphia Eagles were uninvited from the White House to celebrate their 2018 Super Bowl championship last year after a few players declined the invitation, and the Golden State Warriors also elected not to attend the White House. Additionally, back in 2012 while Barack Obama was in office, Boston Bruins goaltender Tim Thomas skipped out on the team’s visit to the White House because he disagreed with the way the government operated. At the end of the day, though, Holtby said regardless of what each player decides, the team comes first and each player respects each other’s choices. Sammi silber is the Washington Correspondent for The Fourth Period.